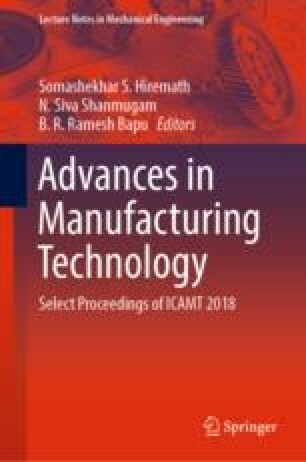 Electrochemical micromachining (EMM) is in the forefront among the non-traditional machining processes that are brought into micromachining domain. The major influencing factors of EMM process are more sensitive at the micro-level machining, and for achieving precision the right combination of parameters is essential. Continuous research works are required to study and analyse every new possible set of variables that can be applied to carry out this machining process. The objective of the present research work is to generate micro-holes using an aluminium composite workpiece through EMM and study the capability of the process to machine such non-homogenous materials. An EMM set-up developed with pulse power facility for experimental purposes was used to carry out the experiments. The experimentation included an aluminium composite containing ceramic reinforcement as work specimen (anode), a hollow brass electrode as the machining tool and the solution of NaCl (sodium chloride) as the ion-conducting medium (electrolyte) to facilitate the process. The effect of input factors like voltage, current and pulse-on time on response parameters such as machining rate (MR) and overcut (RC) was studied from experimental observations. It was a general observation that speeding up the machining rate with higher level input of parameters affects the accuracy of the process outcome. Generally, the response of the EMM process is slow and requires time to produce machining accuracy.